An unsuspecting group of journalists were given the first look of the Renault Koleos facelift for international markets, expected in India during October last afternoon. Assembled in Delhi to witness the handing over of keys to the Renault's first customers in India, journalists were briefed on future products by the French delegation. Slides were projected and without any warning, the scoop appeared in front of us. We were the first in the world to see two images of the Koleos facelift projected on the screen for not more than a few seconds. We are the first blog in the world to show you these photographs. 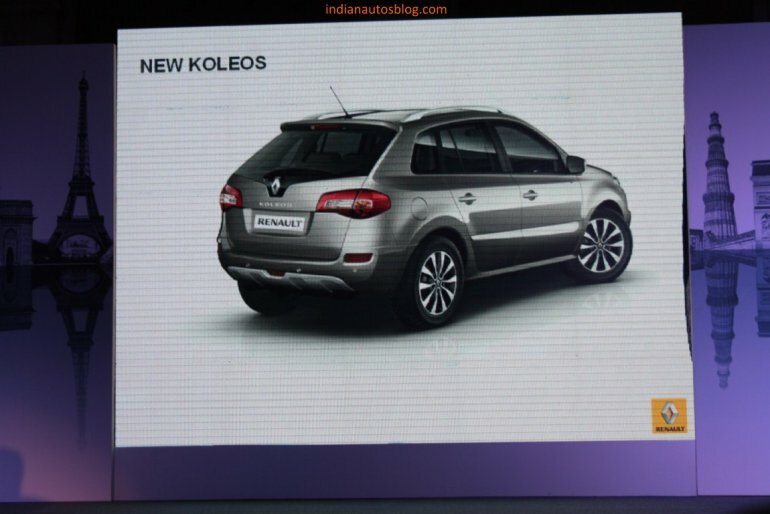 Renault told IAB that Koleos will be a segment breaker. It will stand in direct competition to crossovers like the Honda CR-V, BMW X1 and SUV's like the Toyota Fortuner and Chevrolet Captiva. It is expected with a two-liter diesel engine producing around 150HP mated to a 6-speed transmission. The Koleos slated for India will not differ hugely from the European spec model. There will be no severe de-contenting. Safety and other electronic/electrical features will be same, if not similar on the Indian spec vehicle. It was revealed yesterday that India will be among the first markets to receive the facelift. The Koleos will follow the CKD route and Renault said that in due course of time the powertrain assembly will also begin in Chennai. Renault is following a top-down strategy in India. The first two products rolling out this year will make up the upper floors while the V-Platform hatch, Duster and the mystery sedan will make up the the lower half of its product lineup. Regular readers of IAB would have seen the Koleos/Samsung QM5 facelift testing in Korea. 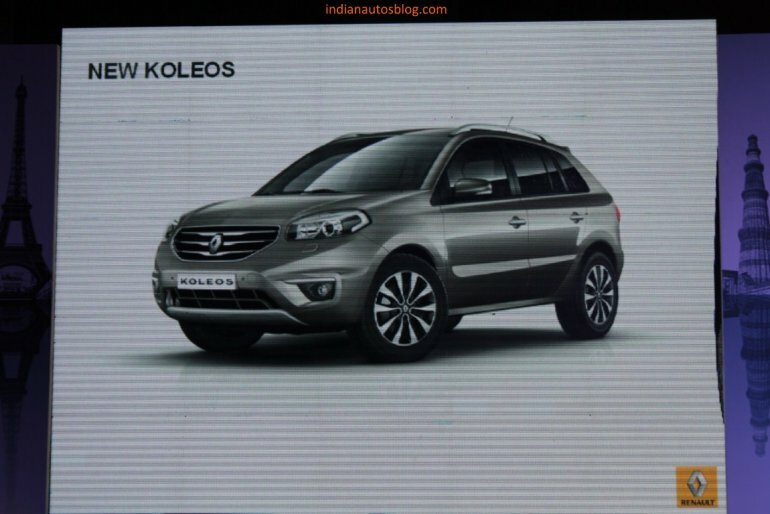 Last month we were told that testing of the Koleos was being conducted around India.